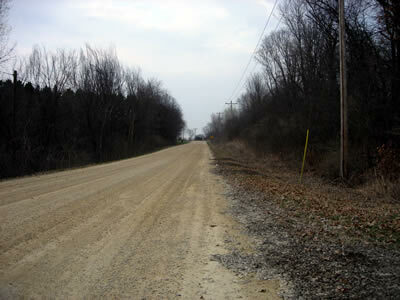 The Dodd Road is probably one of the best known of Minnesota's pioneer trails. Blazed in the 1850's, the Dodd Road provided an overland route between the territorial capital of St. Paul and St. Peter, then an important trading post. Although now mostly lost to time and the plow, many sections of this road (albeit developed into more modern forms) still exist. 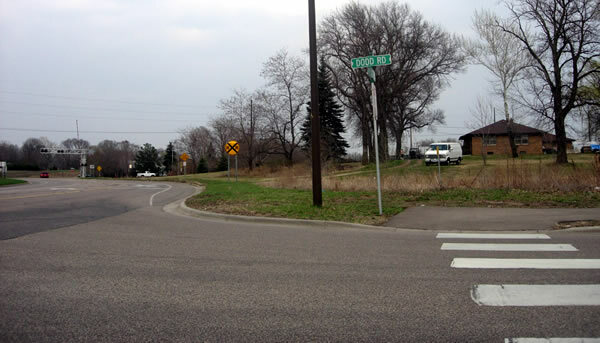 The northern most portion of this historic route (north of what is now Opperman Drive near West Publishing in Eagan) was paved around 1920, and became part of old Minnesota Route 1, now Minnesota Highway 149. One of the tell-tale signs of a lost highway on a map is the presence of two parallel roads that for some reason meet on two ends, and essentially do the same thing. If you look at a map of modern day Eagan and Rosemount, you can see Dodd Road running just to the west of modern Highways 149 and 3. I always assumed that Highway 149 and 3 were built later on, and that Dodd Road was the original alignment of old Route 1. However, the grade used today by Highways 149 and 3 was actually constructed in 1921 (paved in 1922), the first year the Minnesota highway system was most likely marked. If Dodd Road was part of old Route 1, it would have only been for a year, or as a detour. Although not really part of Minnesota's trunk highway system, this portion of the Dodd Road was part of the historic Jefferson Trail, and would have served as one of the primary routes into St. Paul from the south for early motorists. Today, the portion of Dodd Road in Eagan has been paved and modernized (to some extent), feeding multiple subdivisions. A few older houses and left-over farms still pepper the road belying its original rural status. Just north of the border with Rosemount the road has been ripped up and a large barrier planted to cut the historic road in two. In Rosemount, Dodd Road is still gravel, retaining a great deal of its historic charm. The southern end of the old road has also been modified as new developments have begun to spring up just north of old downtown Rosemount. Photos were taken in April, 2005. The northern end of Dodd Road in Eagan at Wescott Road. Highway 149 is in the distance past the railroad warning lights. Dodd road originally continued north from this point through the land now occupied by the West Publishing complex, paralleling the railroad tracks and crossing the grade at what is now Opperman Drive, and then merging with the modern grade of Highway 149. Looking south on Dodd Road just north of the border of Eagan and Rosemount where the road has recently been divided to prevent through traffic. 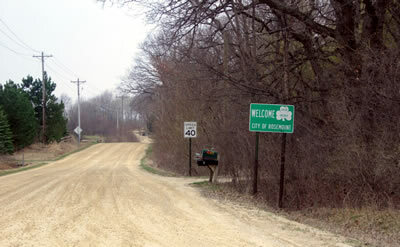 Entering Rosemount the old fashioned way. 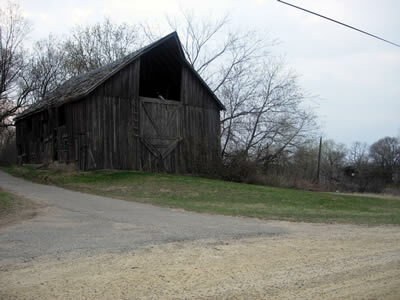 Classic barn on Dodd Road in Rosemount. More Dodd Road, looking north. 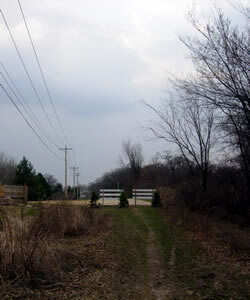 The southern end of old Dodd Road in Rosemount. 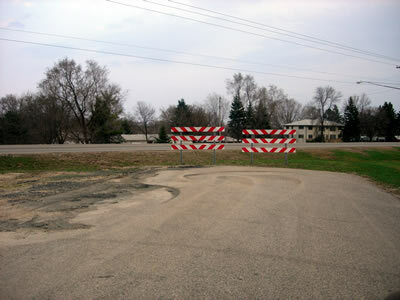 The old junction with Highway 3 has recently been removed due to a development project.